The Minister for Agriculture, Goa, Shri. 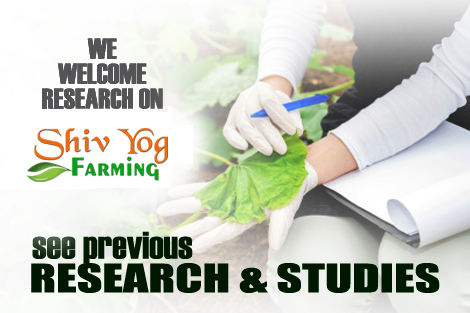 Vijai Sardesai, recently flagged the Pilot experimental project of Shiv Yog Farming for study and research on the authenticity of the ancient Indian traditional method of Shiv Yog Farming in helping revive the failing agriculture of the world. The project had been taken forward by Smt. Usha Sardesai, a Social Activist and Agriculturist and a team of farmers trained in Shiv Yog Farming. Since Shiv Yog Krishi is listed under the Central Government's traditional method of farming named "Paramparagat Krishi Vikas Yojana", the Minister flagged this pilot experimental project in Goa, where only seeds were sown few months ago, with absolutely no use of any chemical fertiliser or pesticides. Farmers trained in Shiv Yog Farming sowed the seeds and did their daily meditation for 30 minutes daily on their farmers in the format prescribed by Shiv Yog Farming. In the month of November 2018, when the farmers got back to the farms to harvest their paddy, the Minister along with the Agricultural Department officials and scientists reached the harvesting field to study the yields. The Pilot project was a success owing to the yields in par with the conventional method of farming with chemicals. Avdhoot Shivanand ji has been teaching Shiv Yog Krishi since many years but he made a mass announcement in 2014 and since then opened it to fall farmers across the country. 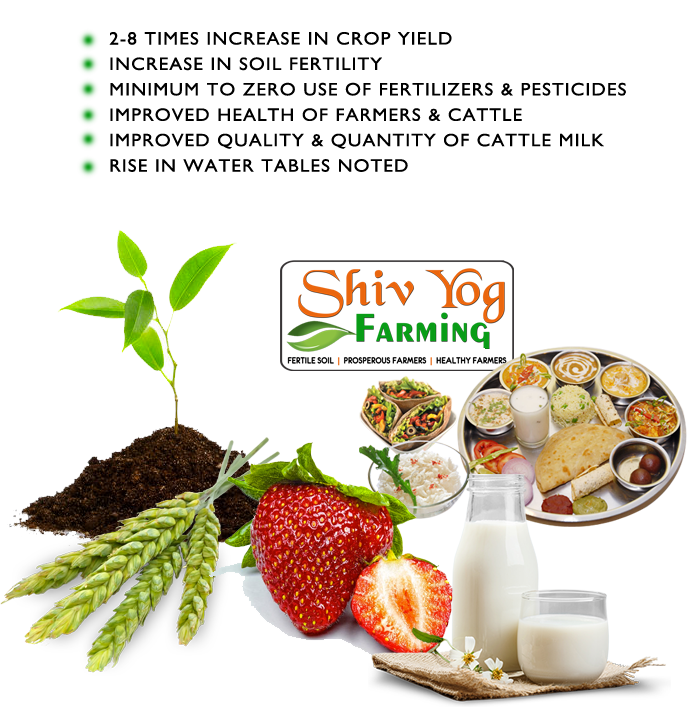 Shiv Yog Farming is the first ever project based on nourishment of crops through cosmic energy. The project rippled across the entire globe with unimaginable results reaped by the poor farmers and the agriculture industry. Avdhoot Shivanand ji, the ShivYogi Master made a huge contribution to the well being of the human beings, who tirelessly worked for more than 20 years in human, animal plant the welfare. With his intense penance and hard work to win the grace an d blessings of the Divine after a lifetime of austerities, he decided to put this sacred wisdom of healing for the betterment of the world. 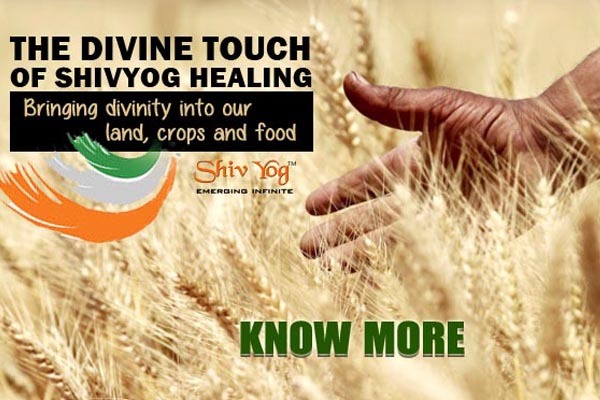 After close to two decades of teaching lakhs of people the powers of Shiv Yog Cosmic Medicine and teaching doctors, he decided that it was time for the farmers to benefit. 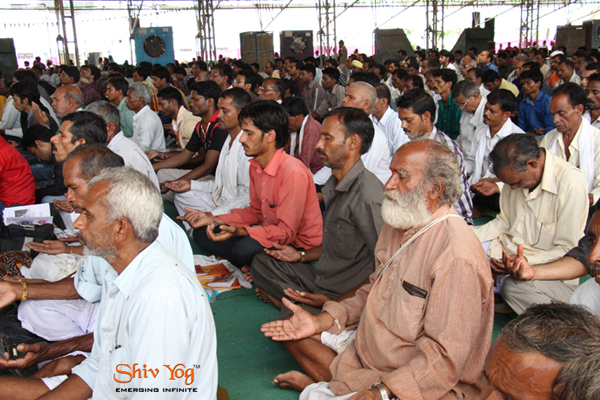 In the early 2014, Babaji announced that he would now begin travelling extensively and spend more time with the poor farmers, not just educating them but also empowering them into the ShivYog mindfulness Meditation. ShivYog Model Villages are those villages which have been adopted by ShivYog, where farmers are empowered with the practices of ShivYog Farming in their daily lives. Making such models have been started with the aim to create paradises, where each and every farmer become prosperous, healthy and happy. They begin growing toxic-free food and help increase the Amritasya Bhojan (nectar-like food) production for the growing population. Regular satsangs are conducted in the model villages where once a week, farmers get together and meditate and do sankirtan also together. Imagine creation of a paradise, immune from diseases, crime, catastrophes, calamities and disasters. Imagine communities and wide swathes of population happy, harmonious, healthy, peaceful, prosperous & content. Why is it the need of the Hour? Crops needs natural cosmic energy for natural divine quality food and not chemicals or artificial processes. The equation is pretty simple. You feed poison to crops and they give you back hazardous and life-depleting food. You nourish them with rich natural cosmic energy and they gift you with healthy, life-giving nourishment. There is a need to understand how farming can be a task of love and simplicity, and this is what the farmers practising ShivYog Farming found out when they learnt ShivYog Farming and applied it to their daily lives and witnessed the transformations. Whenever our team visit the farmers practicing ShivYog Farming, many of them come forward to eagerly share their gratitude and experiences. Many a times, we are ourselves astonished by the sharing of the farmers. The initiative taken by Avdhoot Shivanand ji to bring divinity into our crops and lives of farmers seems to have benefited far more than imagined. For the benefit of everyone, these experiences are recorded and presented to you with one video daily being uploaded to the ShivYog YouTube channel. Indian farmers from across various states in India have learnt ShivYog Farming and implemented it in their farming. It was easy for them because it involves no investments, no additional costs. Moreover, they actually reduced their costly artificial agricultural supports to find out easily and naturally their soil, seeds and crops thrived on the natural source of nourishment that they learnt to channel through ShivYog Farming. Avdhoot Shivanand ji reminds that the manifold increase in the sufferings of human beings through food and disease has not come from nature but has happened when man deviated from the natural course of living. 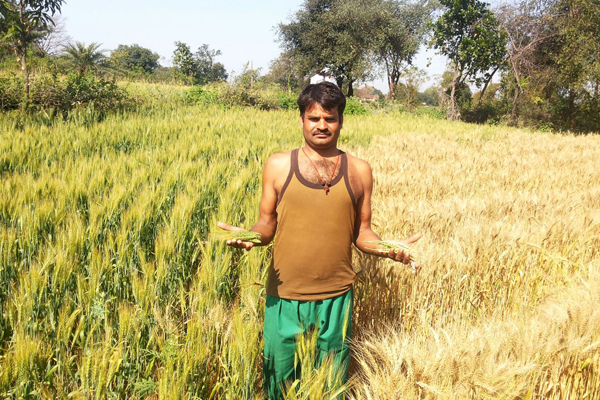 He is very hopefully reviving the ancient Indian way of farming through ShivYog Farming. The only way to do away with the damages we have caused to nature is now take steps to stop any kind of artificial intervention. Rather, we need to support nature by helping undo the damages by nourishing it with the rich life-giving forces that nourishes everything - from soil to water to seeds to crops to harvest. The best person who deals with them everyday all are the FARMERS. ShivYog Farming helps farmers understand this and train them in bringing cosmic nourishment to their crops through ShivYog Farming, with noted results within few months of the dedicated practice. When studies were done on the impacts of ShivYog Farming, many things came to light and more than that were revealed more powerful impacts by the farmers themselves. When we observed farmers speaking on a common set of impacts seen farming, these impacts were categorised in the videos for easy understanding of the impacts ShivYog Farming had on SOIL, WATER, CROPS, SEEDS, CATTLE, PESTS, FARMER HEALTH, FARMER EARNINGS, ADDICTIONS, ENVIRONMENT AND ON THE FOOD QUALITY.